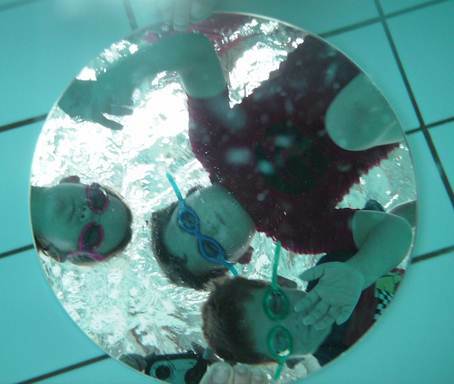 “Just a brief note of thanks to follow up on our recent order for the Polliwog, Friendly Frog and large sinking mirror. 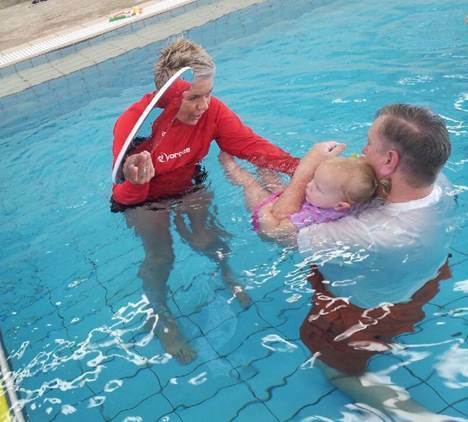 Our Learn to Swim Coordinator has found all of your products to be extremely useful and a great addition to our teaching repertoire.We also received the Frog Warts in the post today, and it’s great to see a company which follows up on customer service issues. 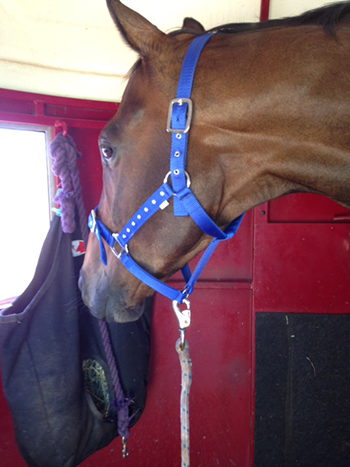 A photo of Lago admiring himself in his new companion mirror. It has defiantly helped him. Thanks Cass, just the we were hoping for and as you can see from the pics everyone is having a great time! (Will post more as they come to hand.) 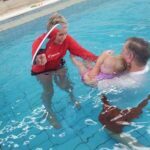 Would love to hear your favourite swim teaching tips! 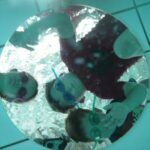 Have been reading up on teaching techniques for swimmers and have found some very interesting points regarding the relatively recent use of visual cues and aids such as mirrors. As an ex dancer and used to utilizing mirrors for training and teaching, it makes sense to use mirrors in a field that requires a high level of body awareness and placement for success. 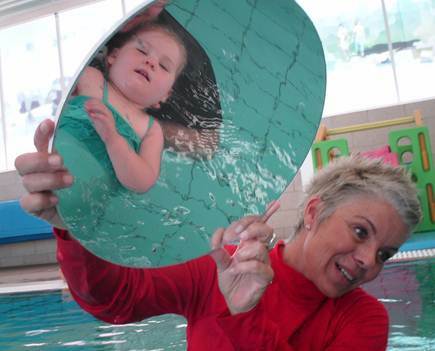 So stay tuned for our next mirror product for swim coaching!! Our “Product launch” at the 2012 Nationals at Horsley Park was extremely well received, so a big thank you to all of those who were so appreciative of our effort to date. 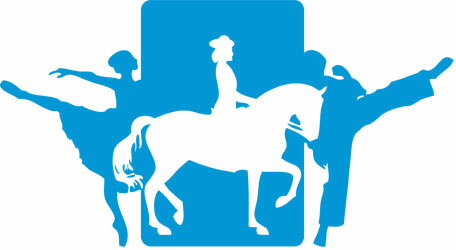 Join us for the 2012 Saddleworld Dressage Championships at the Sydney International Equestrian Centre. 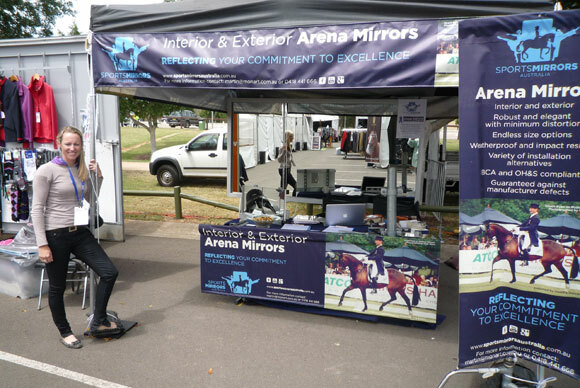 Sports Mirrors Australia will be exhibiting in the trade village during the championships. Drop in for a chat!